When working on Azure, often times you’d have to secure the communication between the resources using certificates. For ex, when establishing a secure connection between your VSTS build server and Service Fabric cluster on Azure, you’ll have to give the Base64 encoded version of the pfx certificate that you’ve used to secure the service fabric cluster. That way, your build server will be able to securely connect to the cluster to deploy packages or other artifacts. 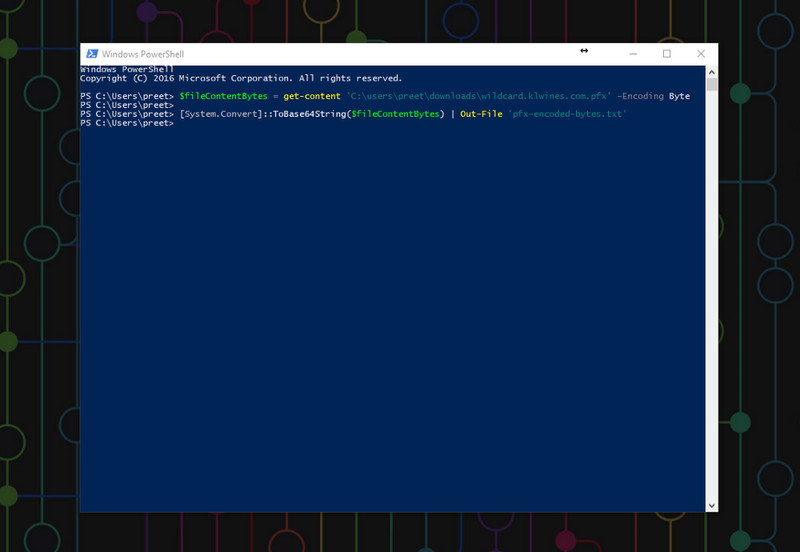 Converting pfx certificate to Base64 encoded string is really easy using the powershell. The text file with the necessary bytes will be created in the same folder where the script is run.